Enhance the value and vibrancy of your printed pieces with the Ultra 200 PRO UV Coater. Simple to use and compact in size, the Ultra 200 PRO applies a high quality gloss or satin finish to a wide range of offset and digitally-printed applications, enhancing the richness of its colors while protecting them from scratches and scuffing. Ideal for short to medium runs, the Ultra 200 PRO accommodates a variety of paper sizes from 8.5″ x 11″ to 21″ x 30″ and stocks between 170 – 500 gsm. 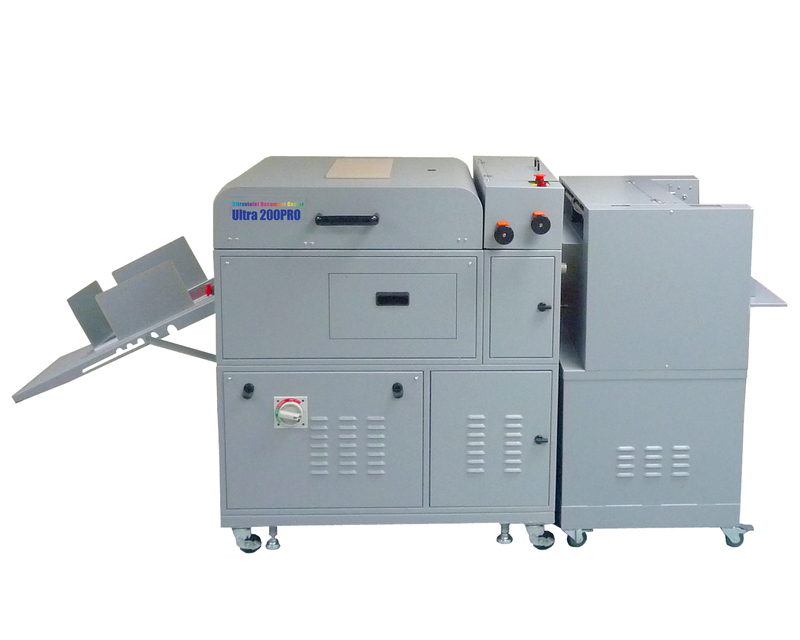 The Ultra 200 PRO also comes with the SF-300 Suction Feeder as standard for feeding high volume jobs and features innovative technology for coating both sides of the sheet with a smear-free finish. Print providers can offer double the value by coating both sides of direct mailers, brochures, business cards, book covers, and much more!